Monday, Monday I wish it was Sunday, ’cause that’s my funday. I always want the weekends to last longer, but this past weekend was so wonderful I really wouldn’t mind repeating it again. In fact when we were going to bed last night Alex said he wouldn’t mindÂ ground-hoggingÂ the day. It is nice to know that the feeling was mutual. On Saturday it was miserably humid out. So of course we were outside working around. Alex cut down and pulled out some dead and dying bushes while I pulled tons and tons of weeds. When we were finally done working around the sun came out and baked off all that humidity. 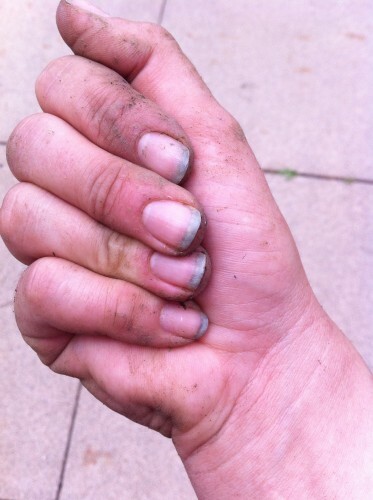 1) Do you like my manicure? 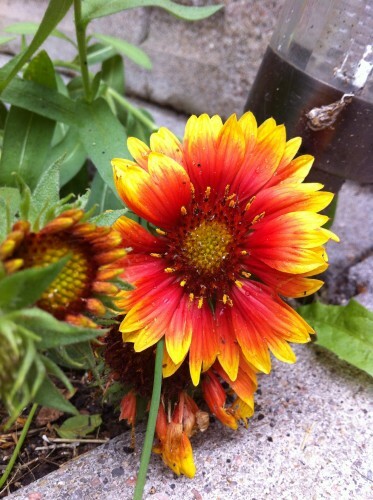 2) The flowers I planted out front of the house are finally starting to bloom. Such pretty colors! We pretty much played outside all day. 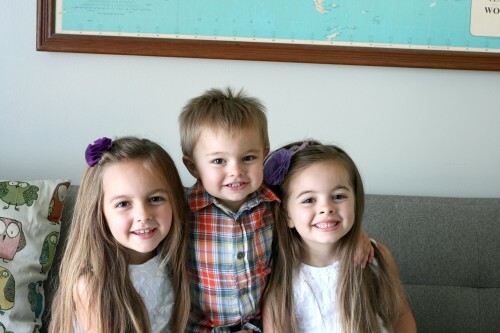 The kiddos were so dirty! 3) Our grill has been getting a real workout this year. 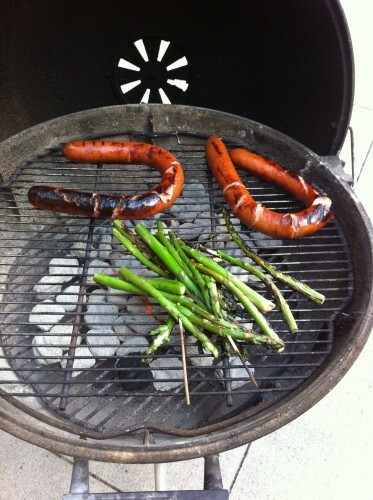 Smoked sausages and asparagus were grilled up Saturday night. 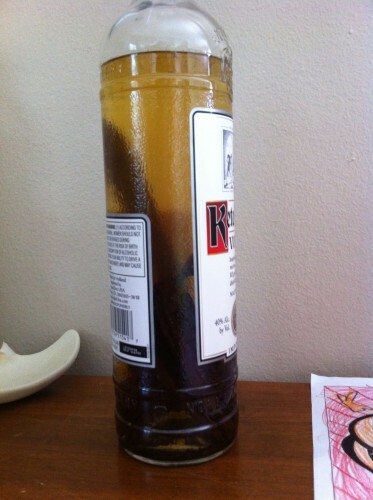 4) I also started a newÂ experimentÂ on Saturday, making my own vanilla extract. TheÂ vanillaÂ beans smelled so good I can’t wait to taste it when it is done. 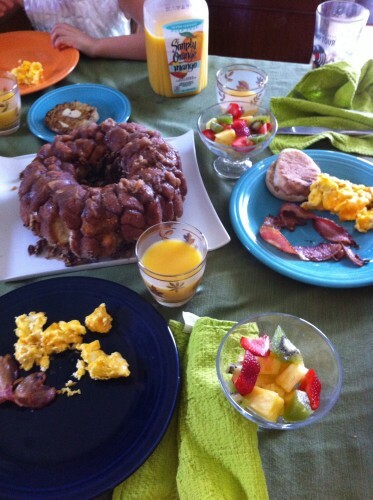 1) Sunday we had a lovely Father’s Day brunch with Monkey Bread that my girls made and heart shaped bacon to show their daddy how much they love him. 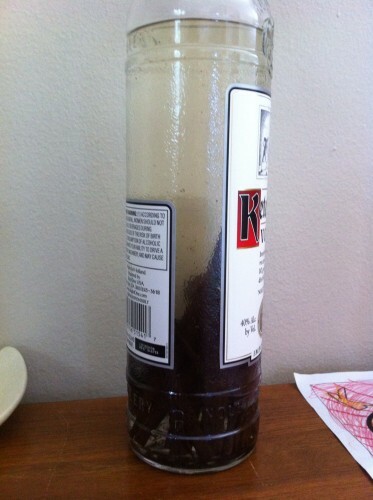 2) I couldn’t believe how dark my vanilla extract became just overnight. 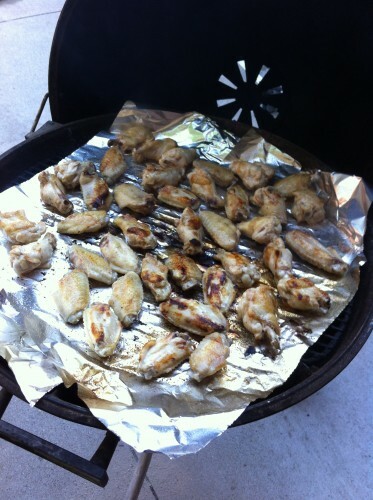 3) We grilled up a whole bunch of chicken wings for our Father’s Day dinner. 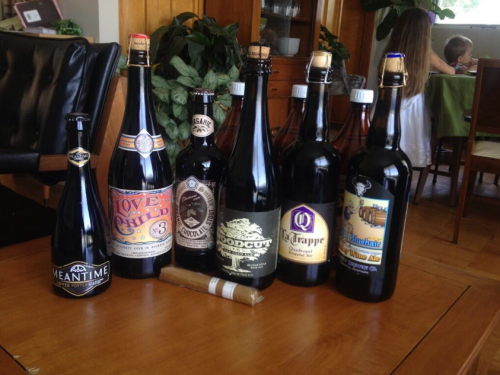 Alex got a bunch of fancy beers for Father’s Day. After all, we needed to fill up ourÂ new garage fridge. We all dressed up for brunch. It was so fun. I hope your weekend was lovely! Today’s recipe is inspired by a delicious egg bake I have made several times over the past few years. 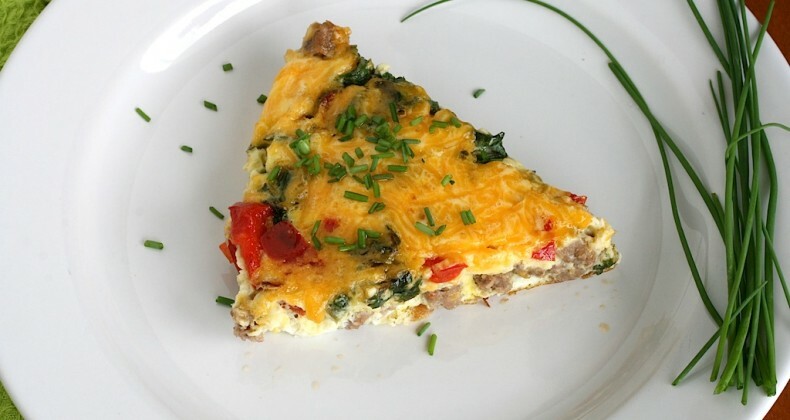 It is healthier for you and low in calories, made with egg whites, and turkey sausage. So good! I didn’t have any day old bread to make the egg bake so I decided to do a shortcut with a frittata. If you haven’t tried turkey sausage I would recommend giving it a try. It gives you that sausagey flavor without all the calories. I like it much better combined with something instead of just eating it on it’s own. For this recipe I only used half a pound. 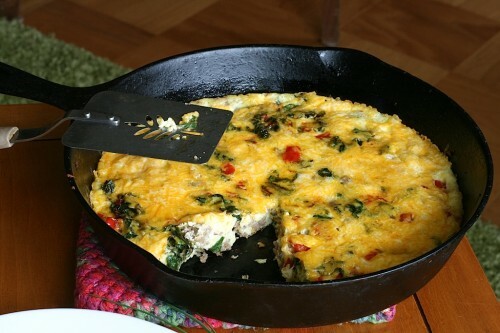 This frittata is filled withÂ sautÃ©edÂ red peppers, rainbow chard (obsessed), and garlic. I love onion and eggs together so I garnished the frittata with some fresh chives from my garden. Beat together eggs, egg whites, and milk. Pour over vegetables and sausage. I love turkey sausage and this recipe looks delicious!